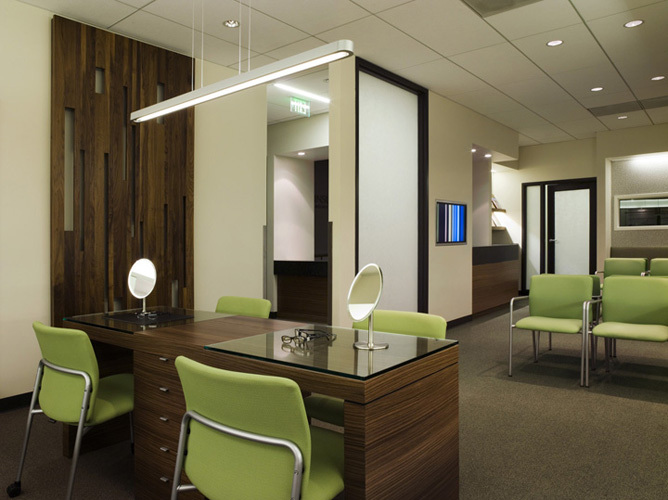 The owners requested a medical office which would be enticing for their patients and stimulating for their staff. 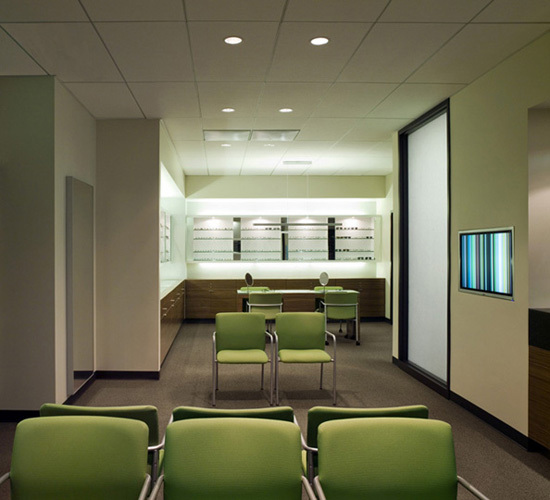 In addition to the reception space, exam and staff rooms, there is also a retail area for the sale of eyeware. The material palette and detailing avoids typical clinical references and promotes good design as integral to good healthcare.